The LG G2 is the an Android smartphone with NFC, and is the Korean phone-maker’s 2014 flagship device. 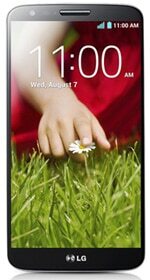 The G2 is the successor to 2012’s Optimus G and was announced in August 2013. The LG G2 — also known as the LG G2 D802 — runs Android Jelly Bean 4.2.2.